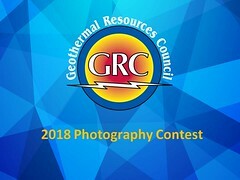 The Geothermal Technologies Office (GTO) is excited to announce the release of the Frontier Observatory for Research in Geothermal Energy (FORGE) Roadmap. FORGE is GTO’s first-of-its-kind field laboratory located in Utah that is dedicated to research on enhanced geothermal systems (EGS). The Roadmap provides recommendations for the critical research that could occur at the FORGE site in Milford, Utah. The Science and Technology Policy Institute (STPI) developed the Roadmap using GTO funding and in conjunction with the geothermal community. STPI focused on research recommendations intended to make progress toward a rigorous and reproducible EGS methodology. The development of the Roadmap included detailed literature and program reviews, months of interviews, and a capstone roundtable with EGS research experts from academia, industry, national laboratories, and government. The FORGE Roadmap outlines discrete research and development activities that could be carried out during FORGE’s five-year operation. Strengthening the understanding of the key mechanisms controlling EGS success could help unlock up to 500 GWe in the United States alone.